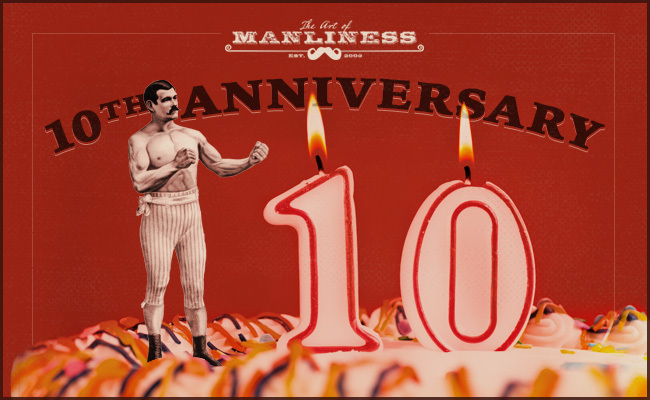 Hem Personal development Lifestyle Celebrating the 10-Year Anniversary of The Art of Manliness! To all of our regular content contributors, past and present. 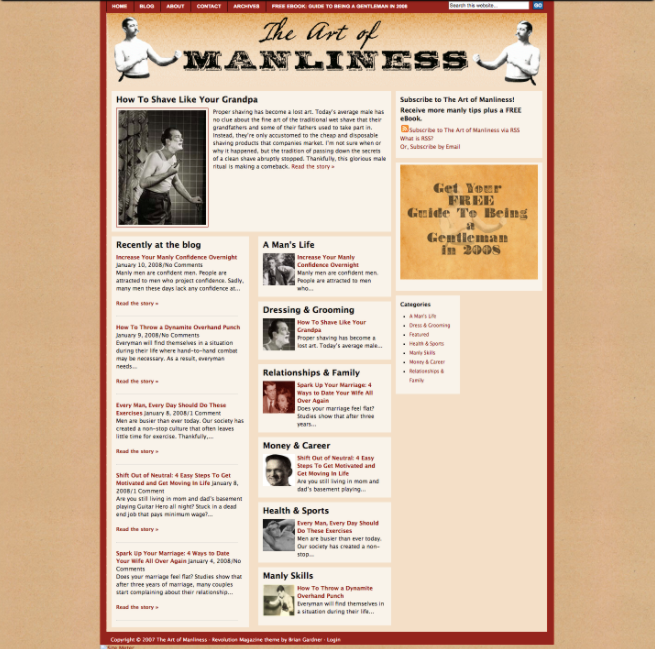 Antonio Centeno (style articles), Ted Slampyak (awesomely manly vintage illustrations), Kyle Eschenroeder (awesomely meaty, philosophical content), Marcus Brotherton (lessons from WWII), Creek Stewart (survival content), Patrick Hutchinson (how-to primers), Jordan Crowder (YouTube videos), John Corcoran (social and networking skills), Darren Bush (outdoor skills), och Matt Moore (food and cooking). Your contributions have helped millions of men around the world. And to everyone else who has contributed a guest article over the years — thank you for sharing your insights with our readers. The site is richer because of you. Läs mer om detta på feedproxy.google.com.